In 1957 he published his bestselling The Way of Zen, and in 1958 returned to Europe where he met with CG Jung. He was an early subject in pioneering psychedelic trials, and after recording two seasons of the public television series “Eastern Wisdom and Modern Life” traveled to Japan several times in the early sixties. By the late sixties he had become a counter culture celebrity, and traveled widely to speak at universities and growth centers across the US and Europe. 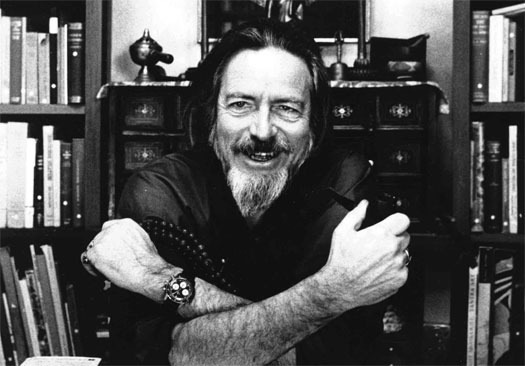 By the early 1970s Alan Watts had become a foremost interpreter of Eastern thought for the West. Overall he developed an extensive audio library of nearly 400 talks and wrote more than 25 books during his lifetime, including his final volume, Tao: the Watercourse Way. Drawing on ancient and modern sources, Watts treats the Chinese philosophy of Tao in much the same way as he did Zen Buddhism in his classic The Way of Zen. Critics agree that this last work stands as a perfect monument to the life and literature of Alan Watts. Alan Watts was one of the great teachers and philosophers of our time, and forty years after its first appearance his classic study The Way of Zen continues to make Western readers far more aware of, and responsive to, the richness of Zen Buddhism and its place within the context and variety of Eastern religion. Alan W. Wattss message for an age of anxiety is as powerful today as it waswhen this modern classic was first published (in 1951). The six essays in this volume all deal with the relationship of mystical experience to ordinary life. The title essay on "cosmic consciousness" includes the author's account of his own ventures into this inward realm. This study of the necessity of mystical religion, also shows how traditional Western doctrine can be reconciled with the intuitive religion of the Orient. These ruminations, assembled in the form of a journal and here published in paperback for the first time, were written at Alan Watts' retreat in the foothills of Mount Tamalpais, California.